If there's any place where a good two-inch rain causes dancing in the streets, it's in West Texas. In a land that's usually dry anyway, the past few years of drought have been challenging to say the least. No one knows this more than Kregg and Diana McKenny, who raise cattle and manage his family farm near Colorado City, Texas. Kregg's grandparents purchased the farm in 1943. Even then, it was evident that creativity and ingenuity were essential to meet the water needs of the farm's livestock. Kregg's family was very resourceful from the beginning, capturing available rainwater falling from every house on the farm using a cistern. This inventiveness was critical in the 1950's, when low rainfall and above-average temperatures led to severe droughts across Texas. 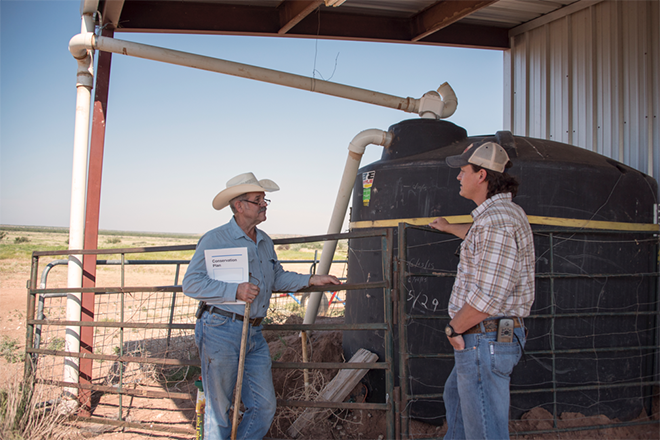 Kregg McKenny (left) and Derrick Fuchs (right) discuss Kregg’s grazing plan next to one of his water storage tanks from his rainwater harvesting system. "The water well sustained us through the drought of the 1950's," said Kregg. "In the drought of 2009, the well went dry and we had to haul water and ultimately sell all my livestock except for two retired horses. The water came back to my well nine months later when the rains recharged our aquifer, which made me realize I needed a plan B and C."
In 2011, Kregg drilled another well which was deeper - Plan B - but it wasn't enough. He went to the local Natural Resources Conservation Service office to discuss water source alternatives and worked with Derrick Fuchs, a rangeland management specialist, to develop a Plan C.
"Our initial plan was to reduce his mesquite canopy through brush management along with installing a rain water catchment utilizing the surface area of his barn and adding storage to increase his water source capabilities," explained Derrick. "NRCS has a diverse staff, and we were able to use an agricultural engineer to design the gutters and storage facilities. The 3,500-gallon storage tank ended up being filled in three rainfall events and hasn't gone dry since." Kregg cleared mesquite from his property with assistance from USDA's Environmental Quality Incentives Program. With the mesquite gone, water was freed up to grow forage plants for grazing and helped recharge the aquifer. Kregg also added a water catchment system to harvest rainfall from his barn roof. "Working with NRCS was very easy with Derrick getting a plan in place while giving me ideas to think about for the long term," said Kregg. "After the funding was secured, I was able to implement some of the action items in my conservation plan. Now I am thinking of the next step with my cattle even though I still get leery of stocking too heavily and tend to be more conservative. I don't ever want to have to de-stock like I did in 2009." 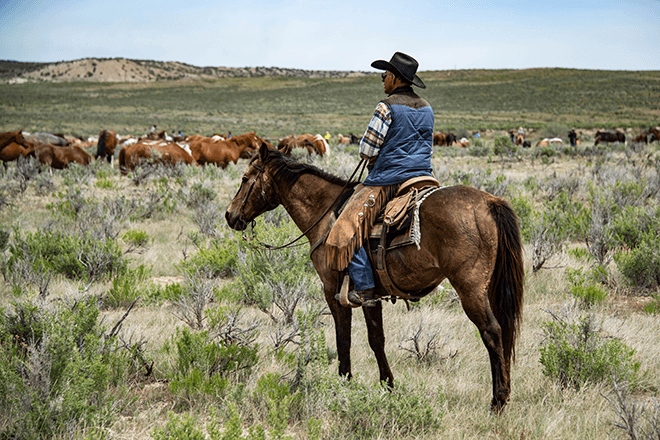 After clearing mesquite and reestablishing his pastures to native grass, Kregg has focused on sustainability, improving his water distribution and beginning a new grazing management plan. Kregg's new grazing plan will allow his cattle to graze the entire pasture over time, with cattle being confined to small pastures and moved regularly. This system is called High Intensity Low Frequency grazing, and will reduce compaction across Kregg's pastures while providing periods for regrowth between grazing events. "I look at my management from different facets, including brush control and water distribution, and storage with proper stocking rates and a drought plan in place," Kregg explained. 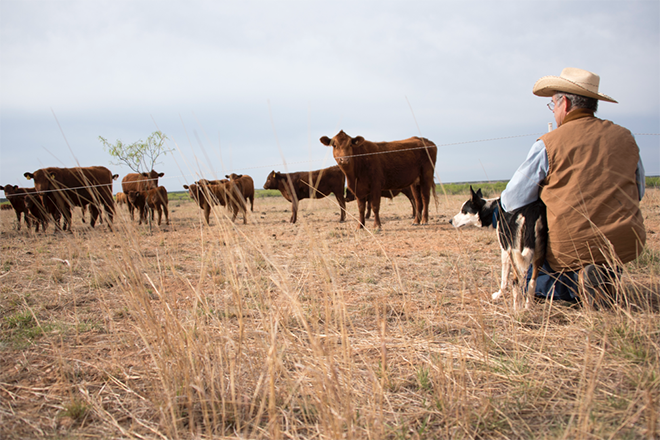 While it is dry in West Texas and the rains are infrequent, alternatives can often be found to secure water for livestock by looking at the past while focusing on a future of sustainability and land stewardship. "My step-dad always told me when I was younger to always have two waters sources," Kregg chuckled. "He sure was right, and now I have three water sources to be able to provide for livestock even during drought situations." No matter your operation, we are here to help you prepare for natural disasters and recover after disaster strikes. Visit farmers.gov/recover to learn more. Contact your local USDA service center for one-on-one assistance with developing a management plan for your working land.